Magerealm_Brand New Official Twitter and Instagram! August is here! Brand New Official Twitter and Instagram! We'll give away FREE 100 REALMGEM to all players if our Twitter and Instagram reaches 500 LIKES and extra 200 REALMGEM for 1,000 LIKES! 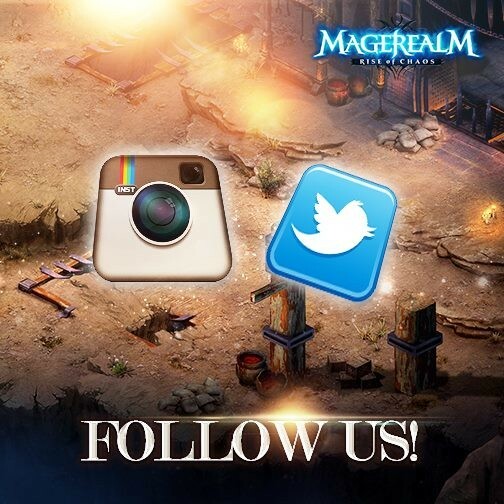 Spread the word by inviting your friends to LIKE our page Magerealm! Magerealm_Login to get FREE Wings: Love! Magerealm_Starless Night, the Mount of the Players! LoA_Login to get FREE Angel: Aquarius!